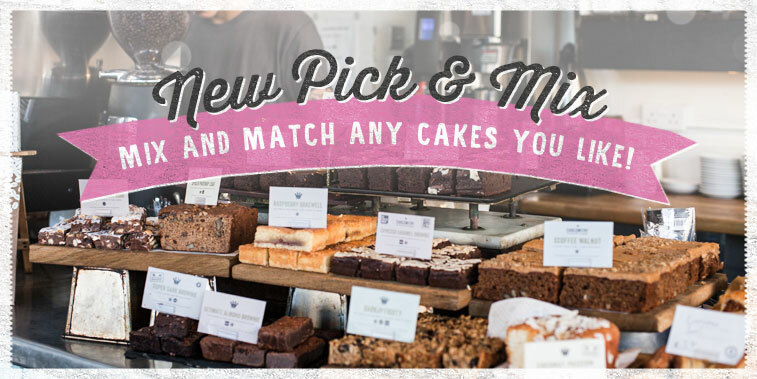 From 19th February you will have the ability to mix TrayBAKES, TrayCAKES & Loafcakes, all in one box...Yay! At the same time, we will also start selling the Loafcakes as singles. Our firm stance on keeping certain ranges separate in transit is now an unnecessary hangover from the rigid format of polystyrene. With the celebrated launch of woolly Eco-Pack in 2018 we are able to use this 'flexible' thermal layer to wrap the cakes and maintain a temperature controlled environment. To keep things simple, we will also move to a value system to define minimum order and free delivery. The value can be reached with cake and/or Pantry items and is before brownie points or vouchers. £175 - Free Saturday delivery. We believe this move will give you the ability to offer a wider range, with much more flexibility and greater stock control.